She was born in Cerignola, Puglia, and trained professionally in the United States. Now she works in Rome. 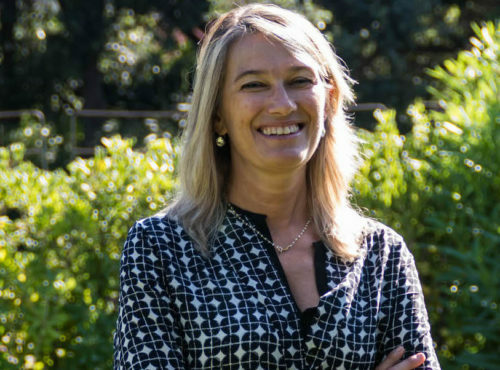 She recently became president of the Associazione Italiana Ambasciatori del Gusto (Italian Association of Ambassadors of Taste), which aims to promote Italy’s food and wine heritage throughout the world. 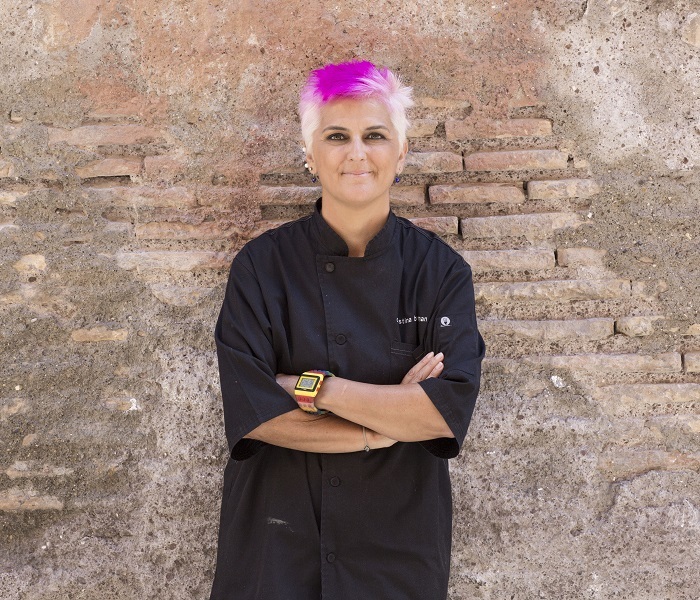 Cristina Bowerman, the chef behind Glass Hostaria, a starred restaurant in the heart of Rome’s Trastevere neighborhood, is all of these things and more. Before she became a chef, she earned a law degree and then worked as a graphic designer in the United States. 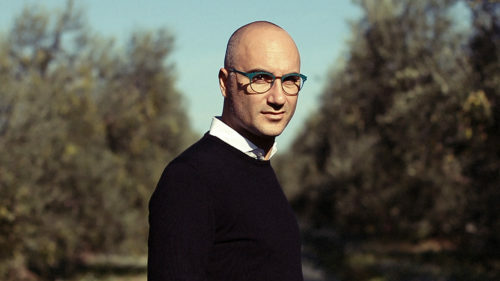 Today, she and her partner (in life and work, and with whom she has a son) Fabio Spada manage another restaurant, Romeo, which, like Glass, is also located in Italy’s capital. You are a mother, businesswoman and chef. So you are proof that it’s just as doable for men as it is for women? I never had any doubts about that. Everyone has her background and personality. Whether you are a man or a woman has nothing to do with it. However, in Italy, is there bias when it comes to the ability of women to do such a difficult job on her own? In our country, people think that a woman can only be a mother, a wife or a professional, not all three at the same time. And this bias leads to fewer women entering all professional fields, including fine dining. A few months ago, chef Antonino Cannavacciuolo said he was against having women in a restaurant kitchen. I can only hope that his words were misinterpreted. In any case, he wouldn’t be the only one. Many male chefs think like this. What can be done to change this mentality? The government can always offer incentives, but it can’t interfere too much because private business is something else. There shouldn’t be an obligation that comes from on high. Meritocracy counts. This is why I’m against quotas for women. We need to make people understand that there are many women who have the same physical strength, endurance and ability to manage, even in the restaurant world. Speaking of which, how do you see the industry overall in Italy? I think it is in excellent shape, but it needs more help from everyone, including the government, to promote the industry, which is what we are trying to do with the Associazione Ambasciatori del Gusto. What can this association (of which you are now president) do in this regard? The association aims to create an open, honest relationship with institutions for the protection and promotion of Italian cuisine. Restaurants are treated like other retail businesses. But we need specific legislation to help restaurants, like, for example, in France, where the industry pays less in taxes. Certainly. It’s a great strength of our country. Let’s not forget that it’s our moment because we have the top chef in the world – Massimo Bottura – so we need to make the most of it. Speaking of your businesses, what projects are you working on now? In November, our Romeo Chef & Baker will move from the Prati neighborhood to Piazza dell’Emporio. The space is bigger, and there’s a pizzeria along with it because we want to promote pizza as an expression of Italian fine dining. My partners include Giuseppe Di Martino of the Pastificio dei Campi, Casillo, an international company based in Puglia dealing in durum wheat, and journalist Antonio Scuteri. And for the pizza, the Salvo brothers will consult for us. Who helps you out from a legal standpoint? Our lawyer is Giovanni Moscarini from the Moscarini law office. How helpful have your law studies and your experiences abroad been? That age is not an obstacle in terms of changing careers and that the “American Dream” is alive and well. In any case, I still continue to take professional training courses in Italy and abroad, and I teach cooking courses in Italian and international schools. 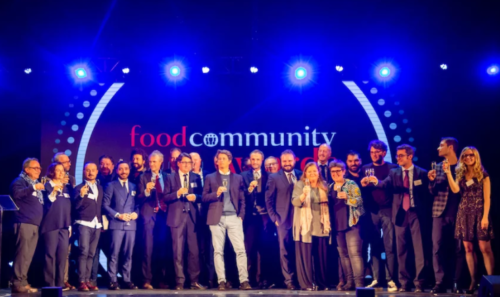 What will be the first major event for the Associazione Italiana Ambasciatori del Gusto be? The “Week of Italian Cuisine in the World” from Nov. 21 to Nov. 27, which will feature high-level key players. We hope to create an expert task force along with institutions to discuss training and the needs of the industry. This in addition to initiatives having to do with fighting waste and raising money for charity.